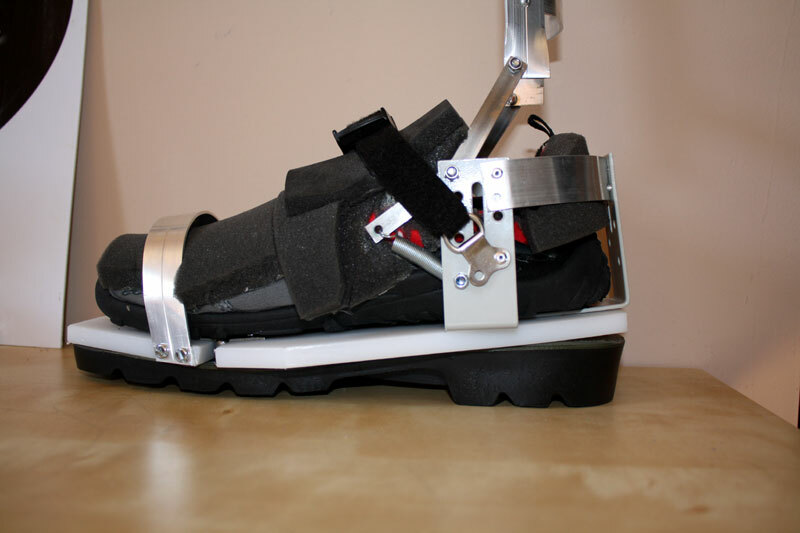 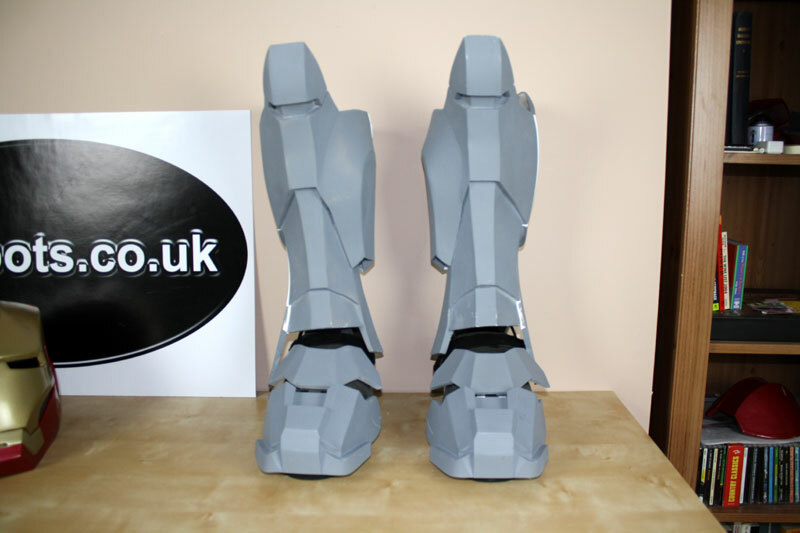 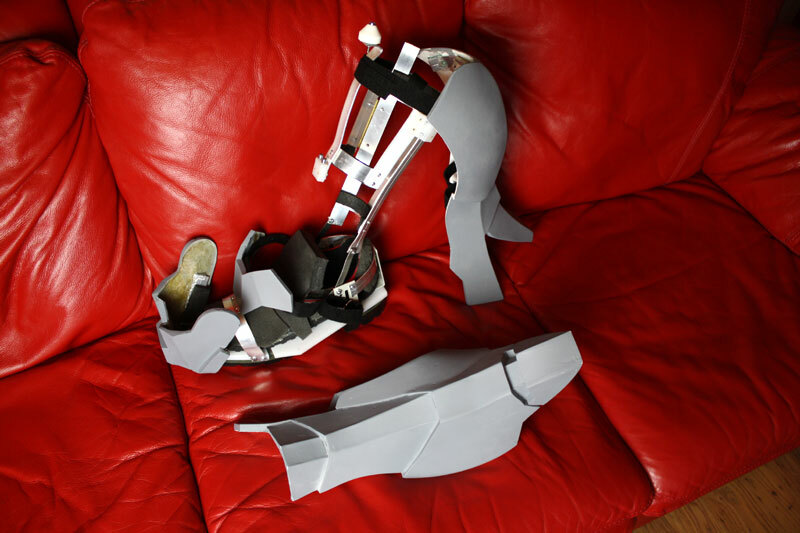 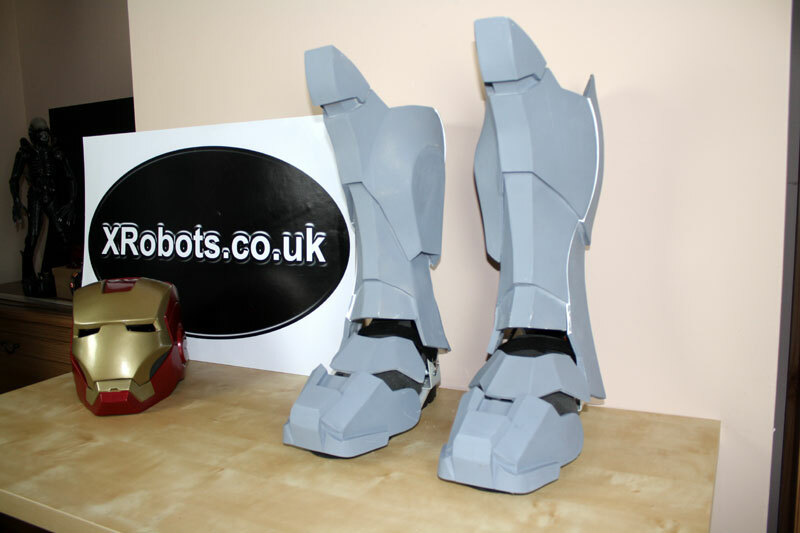 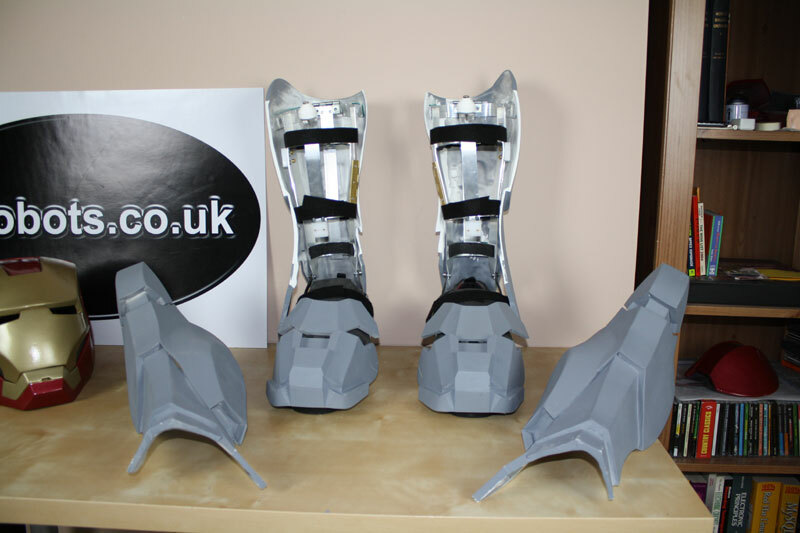 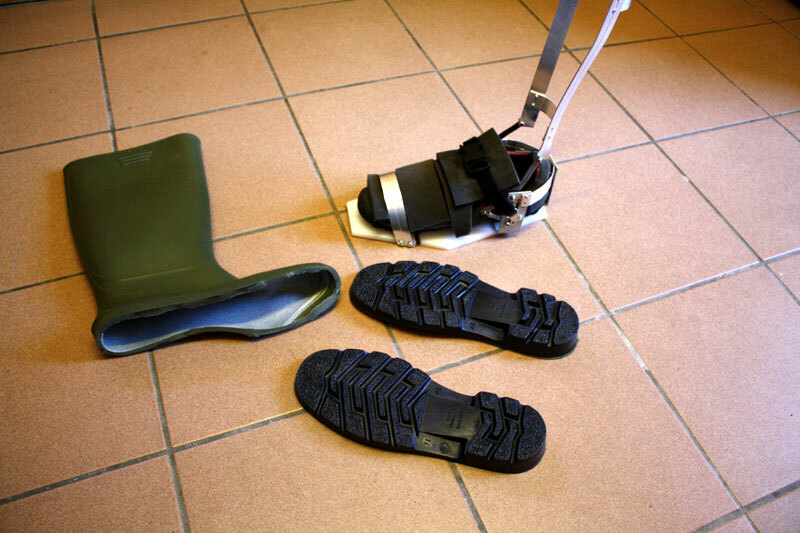 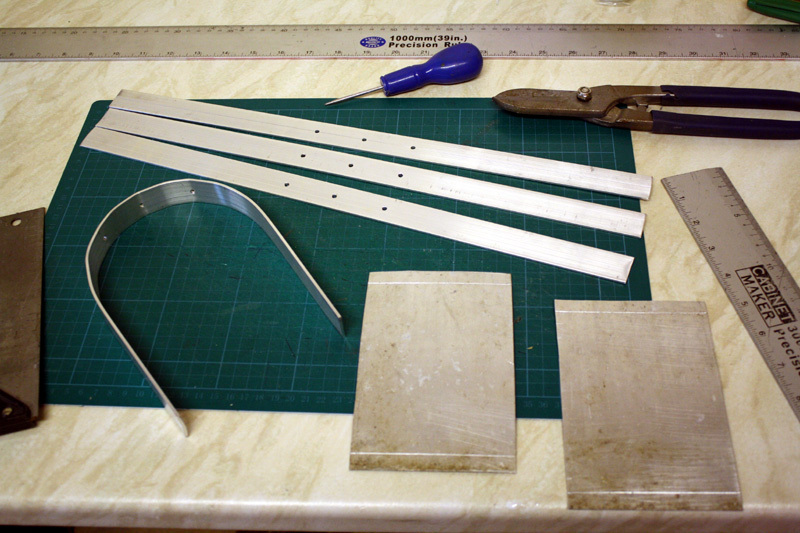 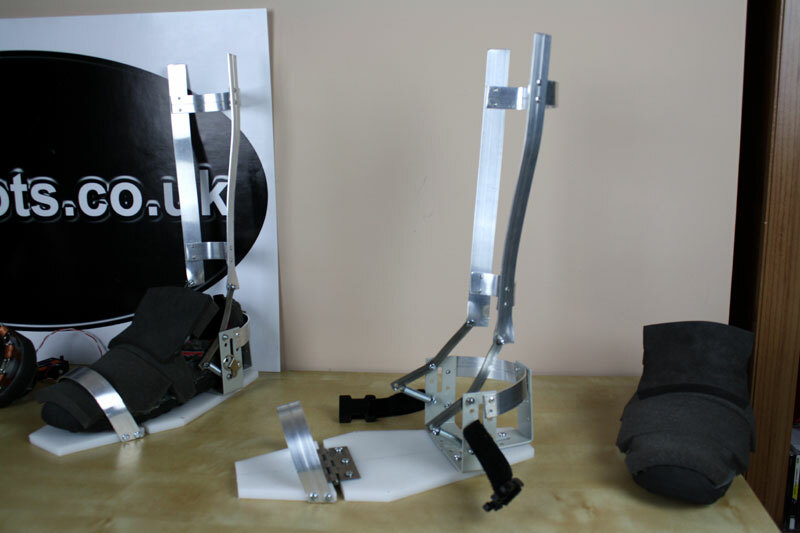 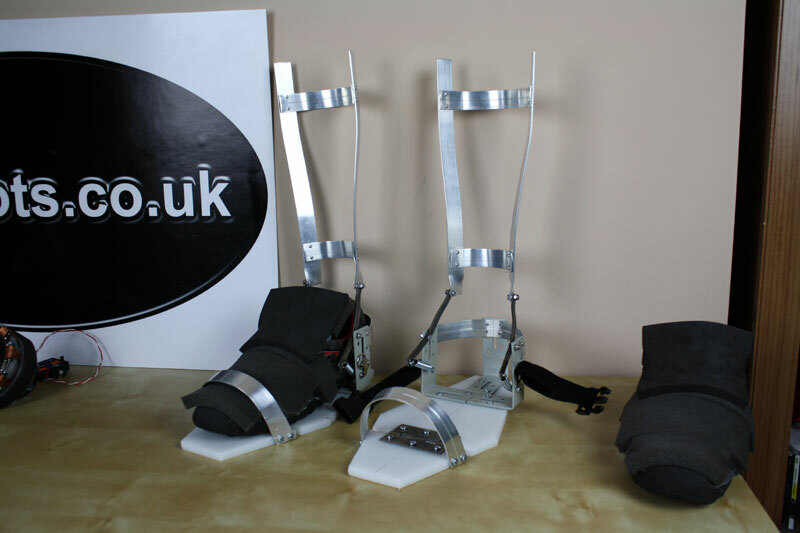 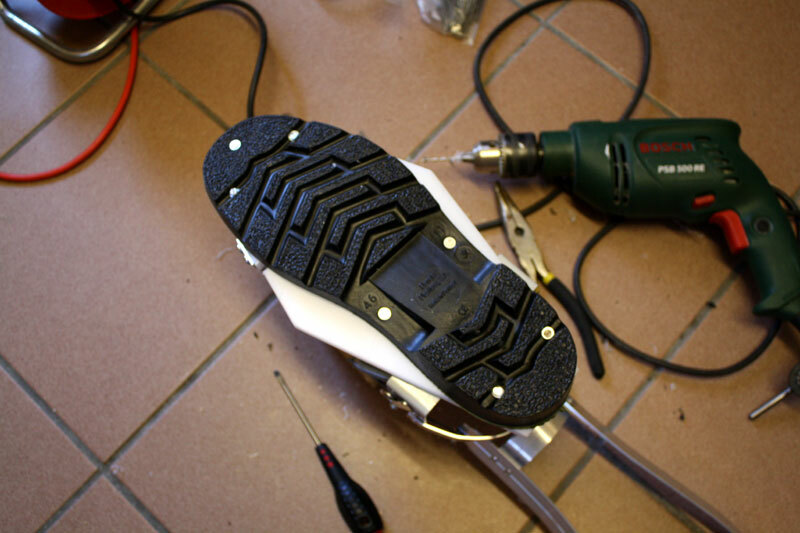 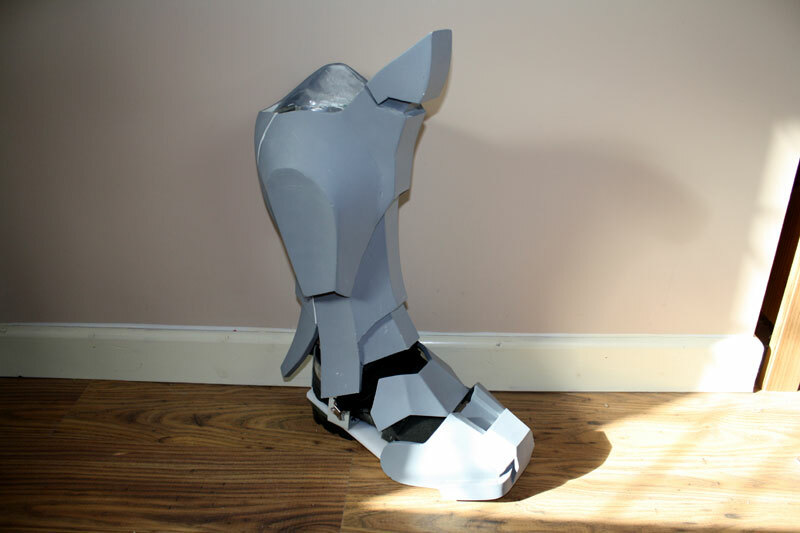 This page is about the strapping stage of the project for the legs, check out the main project index for the rest. 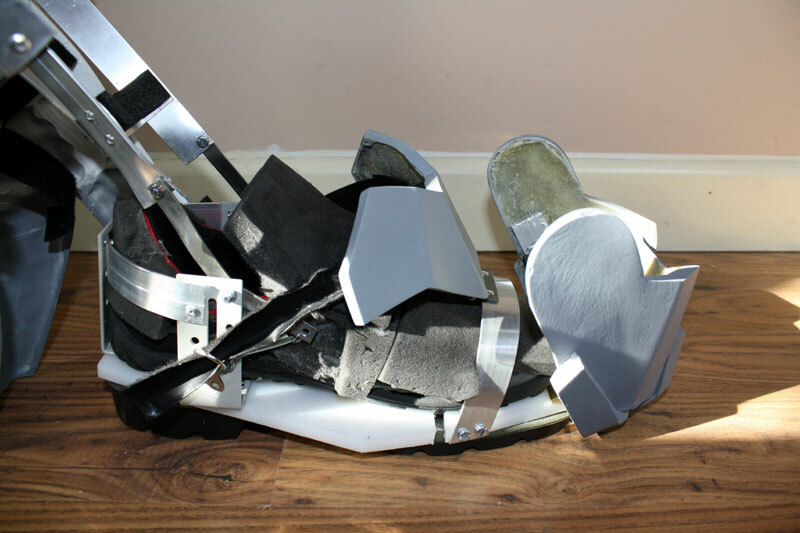 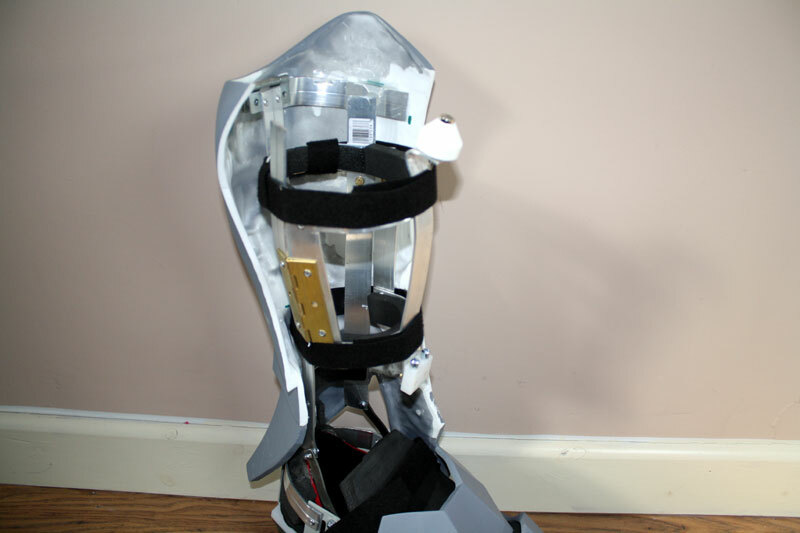 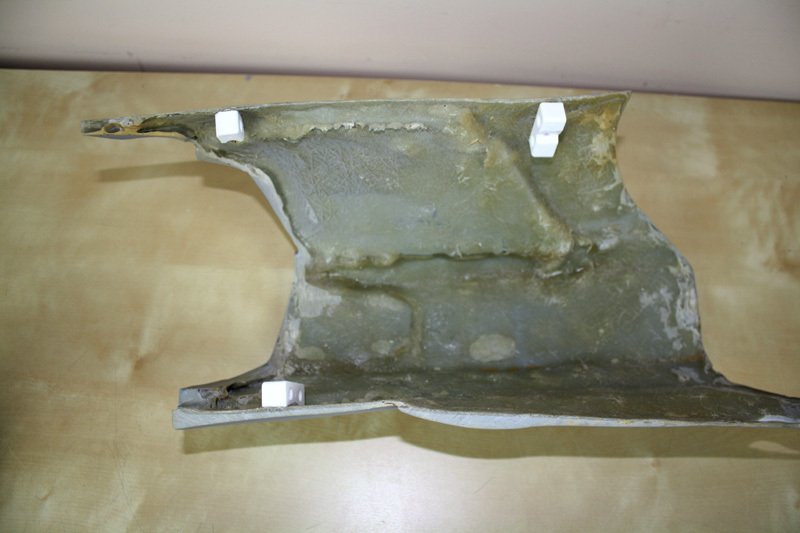 Here are some pictures of the thigh exoskeleton build up, check out the thigh casts. 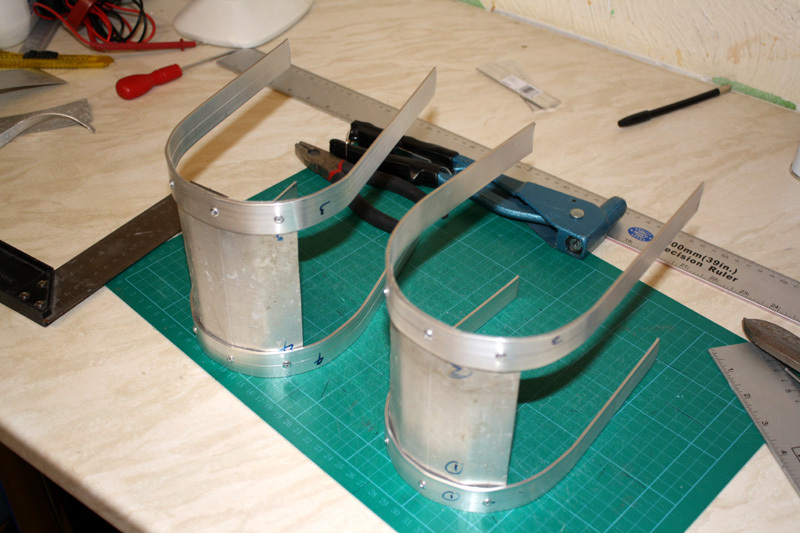 A pair of magnetic latches, which I made for this purpose, will eventually be attached to the replacement vacuum formed thigh side panels. 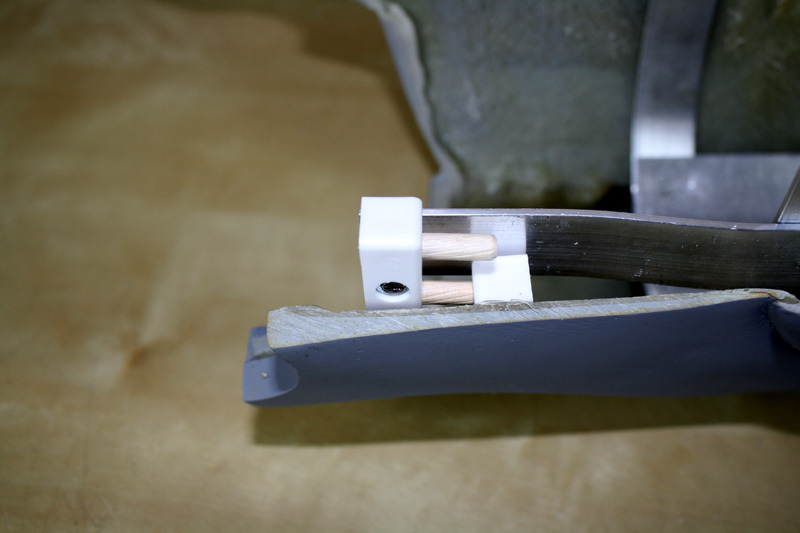 These are located through a corresponding pair of holes on the outside of the thigh to hold each shell in place, essential to stop it lifting off the hooks. 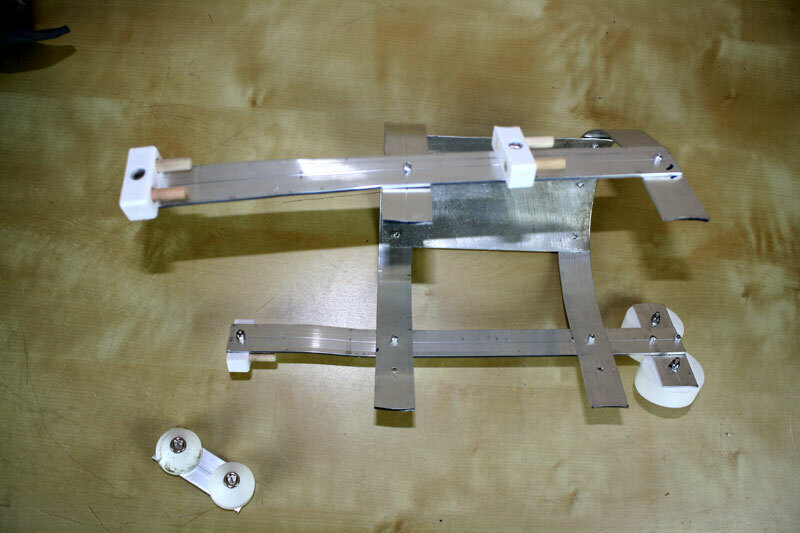 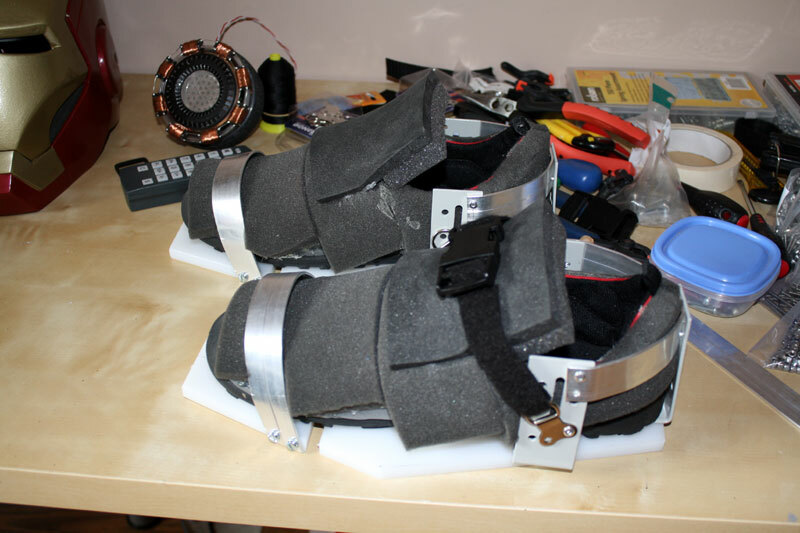 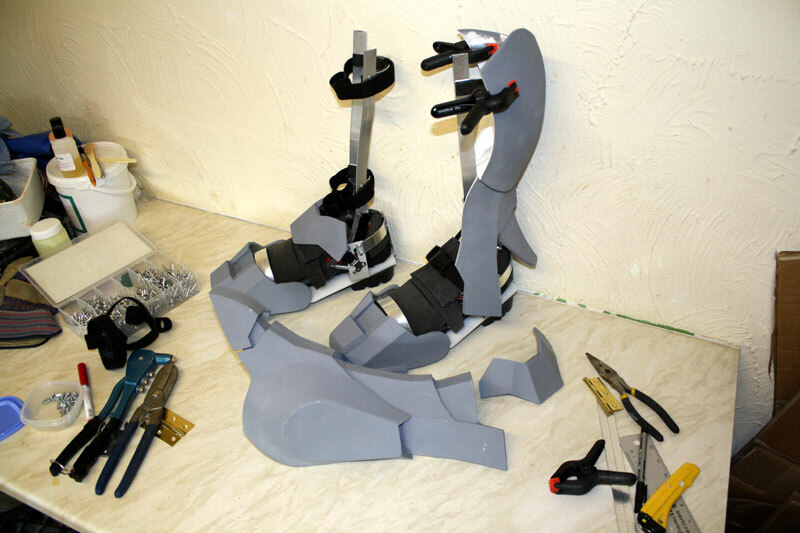 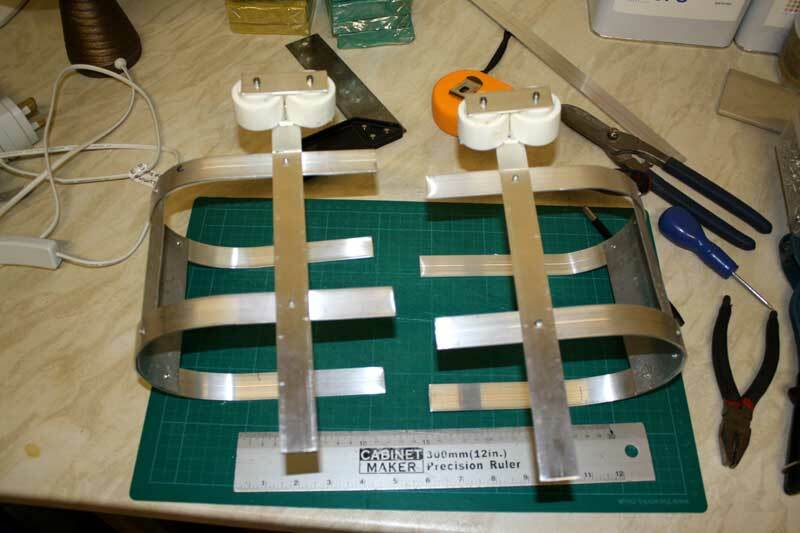 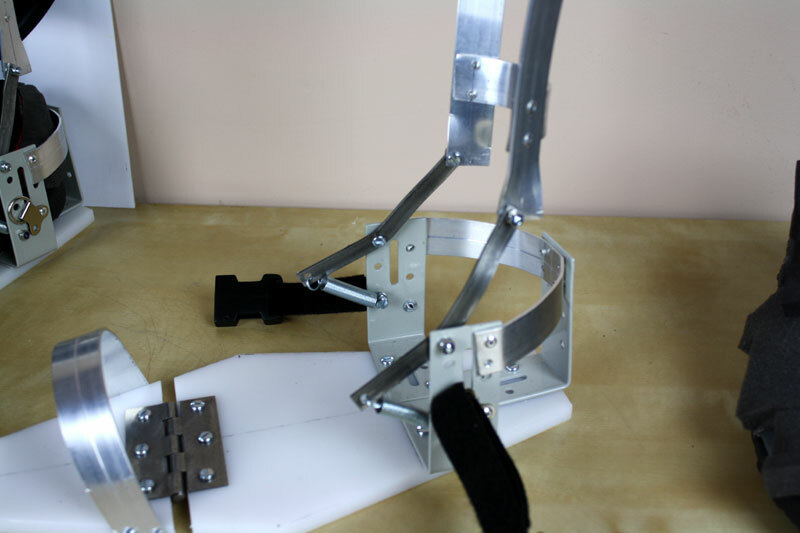 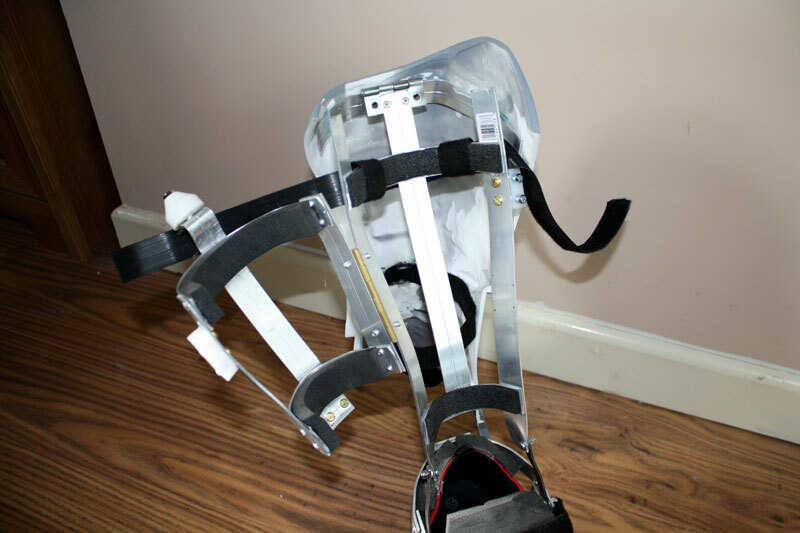 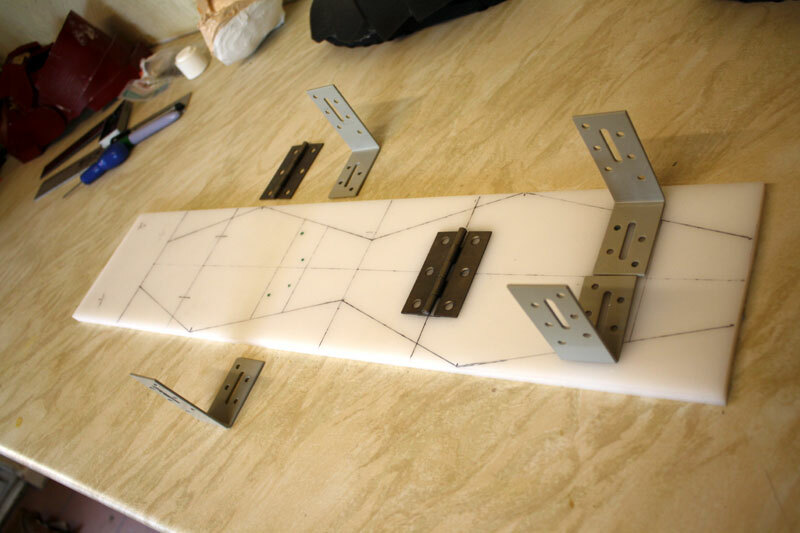 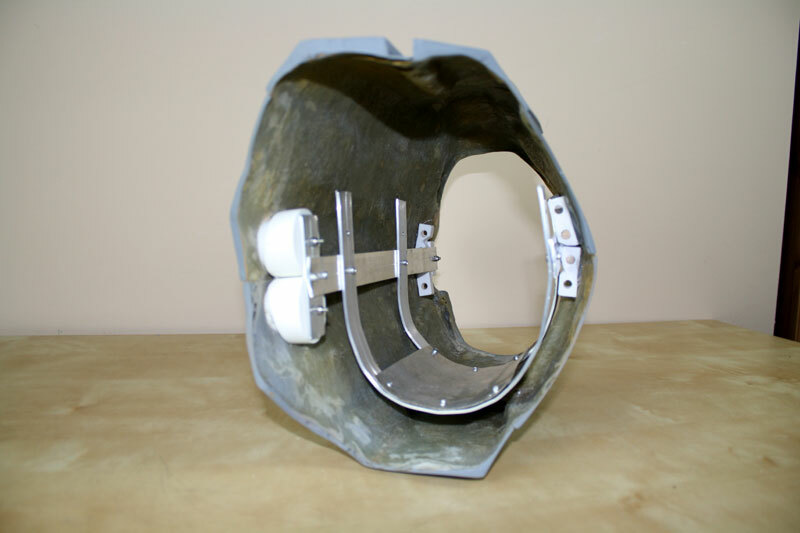 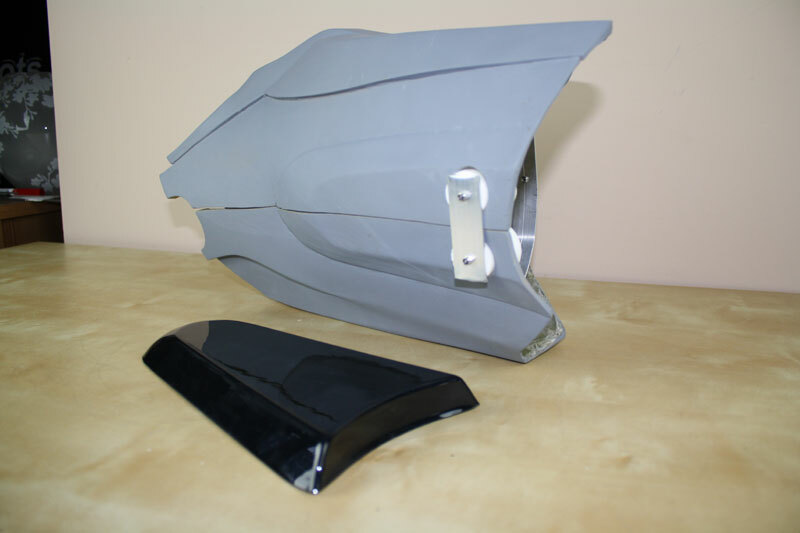 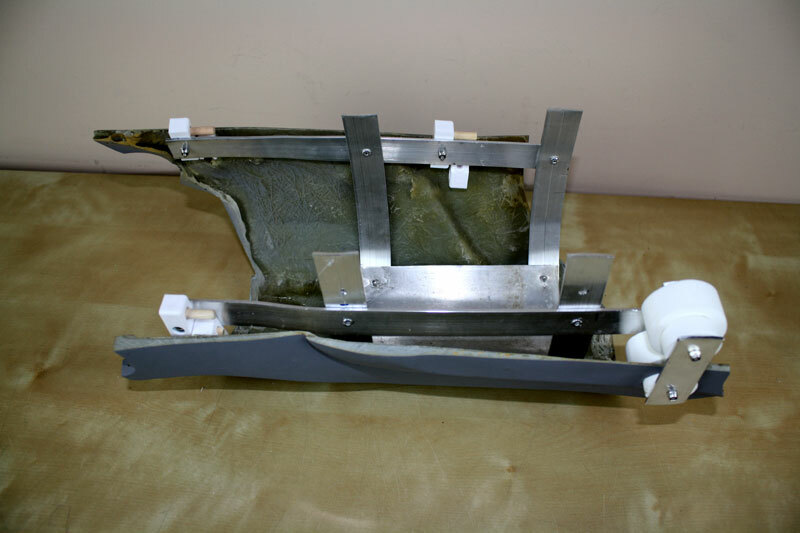 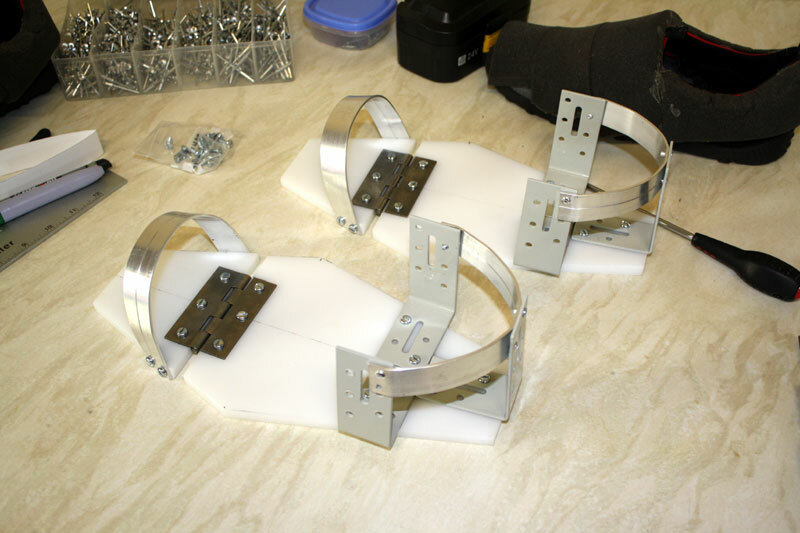 This whole assembly holds the pieces tight in place, the metal work will be attached to the straps on the outside of each hip from the upper body portion of the strapping system.